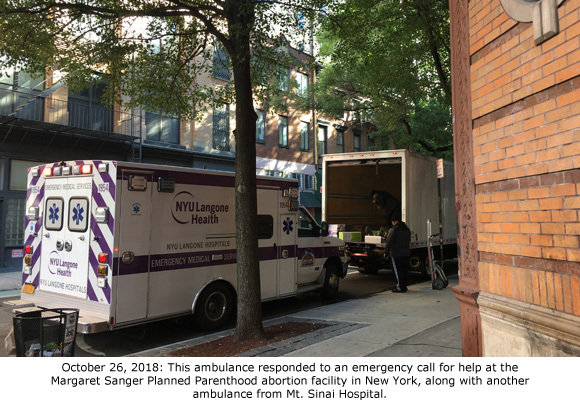 New York City, NY – Planned Parenthood’s flagship abortion facility, the Margaret Sanger Health Center, located in a brick multi-story building the heart of New York City, continues its pattern of injuring women so seriously during abortions that they require emergency transport to nearby hospitals. 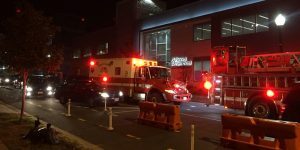 Another medical emergency took place at the Margaret Sanger Planned Parenthood on Friday, October 26, 2018. 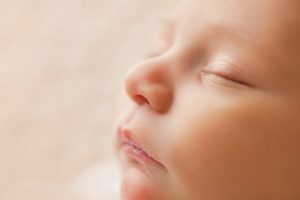 Pro-life activists who were present that day photographed the incident as they were offering help to women and prayers to end abortion as part of a 40 Days for Life campaign. 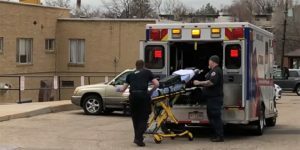 Two ambulances responded to the abortion business’ call for help. The first to arrive was from Mt. 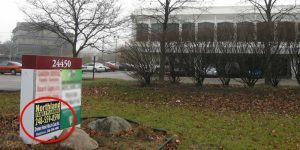 Sinai Hospital. 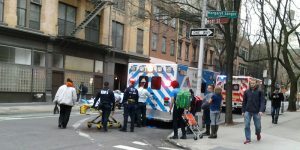 The second ambulance, which arrived on the scene with lights flashing (but no sirens) was from the NYU Langone Hospitals. 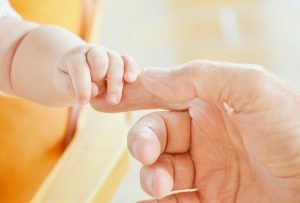 Emergency workers must use a cramped elevator that cannot fit a gurney to access the abortion facility and remove women who are suffering serious complications from abortion. 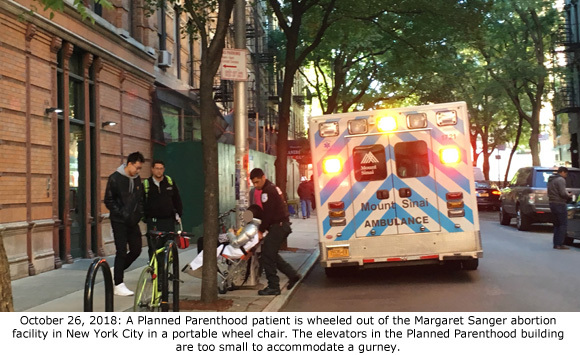 Photographs showed emergency responders wheeling a dark-haired woman out of the Planned Parenthood building in a portable wheelchair. 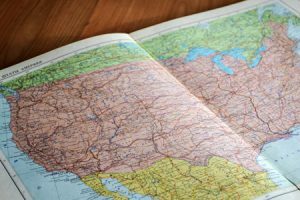 Although she appeared awake and alert, the extent of her complications remains unknown. She was transported in the Mt. 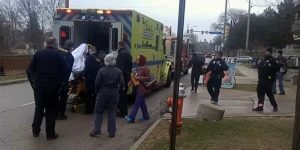 Sinai Hospital ambulance, which left with emergency lights on but did not turn on the siren until they were about a block away from the Planned Parenthood building. 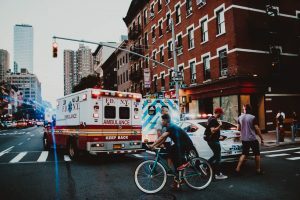 The second ambulance crew had consulted with the Mt. Sinai crew prior to her transport. 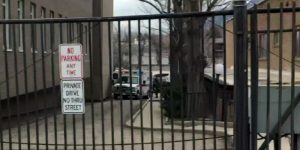 There have been about a dozen medical emergencies at the Margaret Sanger Planned Parenthood that have documented by Operation Rescue over the past two years.